E-labeling is an electronic version of an Instruction for Use (IFU) that is available online. In recent years, we have seen the use of e-labeling continue to rise. There’s been a drastic increase in the information provided within an IFU, from directed uses, health claims, side effects, contraindications. The use of e-labeling provides benefits for both manufacturers and users. As manufacturers, you can reduce costs and time-to-market, while users can access detailed and up-to-date information. Due to the nature of electronic media, updates to e-labels can be performed quickly with limited production cost. Another key advantage that e-labeling has is the ability to incorporate audio and video files to accompany IFUs. However, there are some risks associated with e-labeling that are important for you to consider. When an IFU is solely available on the web, there is always the possibility that there will be limited access to those files. There are specific requirements that you must address by various governing bodies when an IFU is provided electronically depending on the country where it is to be submitted. In 2014 the US FDA proposed a new rule to its product labeling regulations. 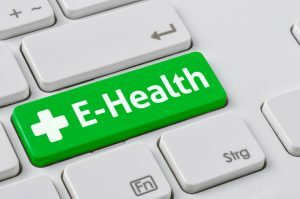 This proposed rule requires electronic package inserts instead of paper formats to be sent to health care providers and consumers. While the purpose of this rule is to provider practitioners and patients with the most up-to-date information, it does present unique challenges as well. There has been some backlash within the industry, as well as concerns about patient safety. Pursuant to this new rule, manufactures will be required to update labeling information every time there is any change and ensure it is accurate. Additionally, they must have 24/7 access to request a paper copy should it be required. E-labeling, as with all labeling, is an important step in life science translations. Given the nature of the quick turnaround time necessary for e-labeling requirements, dedicated LSPs are crucial. Your language service provider should be familiar with your products, documentation, and your translation requirements. Having open and easy access to your LSP, means you can have a plan already in place for e-labeling updates. Contact CSOFT today for all your labeling and translation needs.